RebeccaCullen wrote: I kinda feel like they could've moved certain parts of the movie a little quicker, like the wedding, the honeymoon and pregnancy, . I think the portrayal of the wedding and the honeymoon is very faithful to the book though. And those two parts of the movie are my favorite parts so I'm glad they didn't shorten them. If they had gone any quicker, it would have felt too rushed IMO. I am all for 2 parts. Like some of you said, if they had made it into only 1 movie, then the wedding scene would have been only a minute or 2 of screen time. I think the Wedding and honeymoon had the first 40 minutes in. In my opinion the book undoubtedly needed to be two movies! 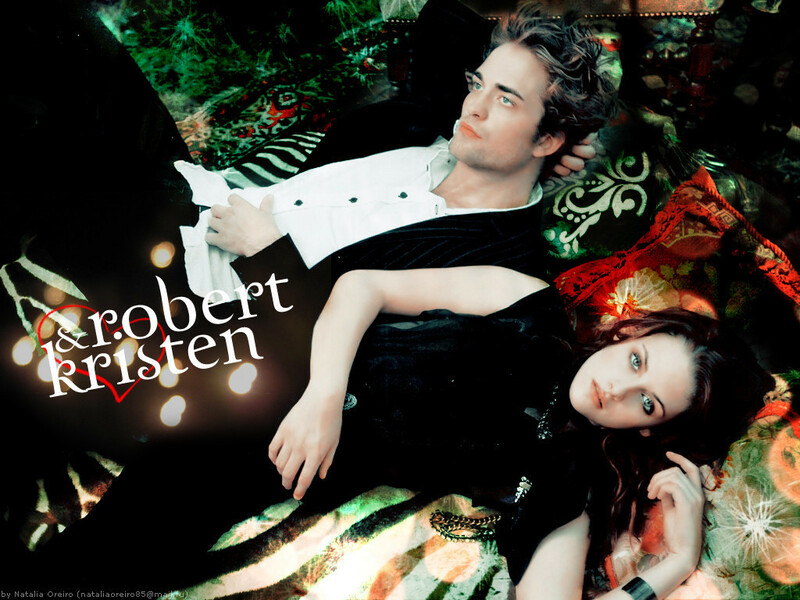 I loved Breaking Dawn part 1- and didn't find it slow at all! In fact I did miss a couple of moments from the book, but understand that they have to move a movie along. There just wouldn't have been enough time to do the book justice in one movie,it would have become a muddled mess! I definitely think the book needed to be split into two parts. There is so much more left of the book to explore in the next movie; ie: Bella & Emmett arm wrestling anyone? I'm with most of you, I don't care for the Volturi either, but the lead up to it with Bella exploring her shielding power and meeting all the new and interesting vampires is a must. Breaking Dawn Part 1 was short enough, if they put the whole novel into 1 movie than a lot more would have been cut, which in my opinion, would have been a big mistake. We're already missing the Jacob and Rosalie fights, Jacob driving Edwards car like a maniac, eating dozens of eggs in a weeks time, etc. I know that not EVERYTHING can be put into the script, but to be cut any shorter than what already is would have been tragic. I'm looking forward to part 2, the countdown has begun, let's just hope Summit will speed it up massively and change their minds about a November opening date and slide it on forward to a June or July! Keeping my fingers crossed, but not holding my breath! After seeing part 1 I am so glad they split it into 2 parts. There were already some things not in part 1 I wish had made it (like Bella & Edward going to tell Charlie they're getting married and more of Seth & Leah) and can't imagine how it would have been if it was all in 1 movie. I didn't feel like it went to slow or too fast it was a good pace for me. How they ended part 1 left me wanting more & I am going to hate having to wait a year for part 2. I just saw this movie for the first time 12/5/11 and I am glad its in 2 parts. from the size of the book I think It would of been quite a bit much for 1 movie. It was all ready just a little over 2 hours long could you imagine what the whole thing would be lengthwise? I think they did overall a very decent job with it and holy cow for a pg13 movie they really cut some things really close I could see why It could of gotten a R rating. The bad thing is that if they would have made one movie then it would have been more action packed and exciting, my other friends who don't particularly like twilight - they enjoyed the films but they didn't like breaking dawn part one.